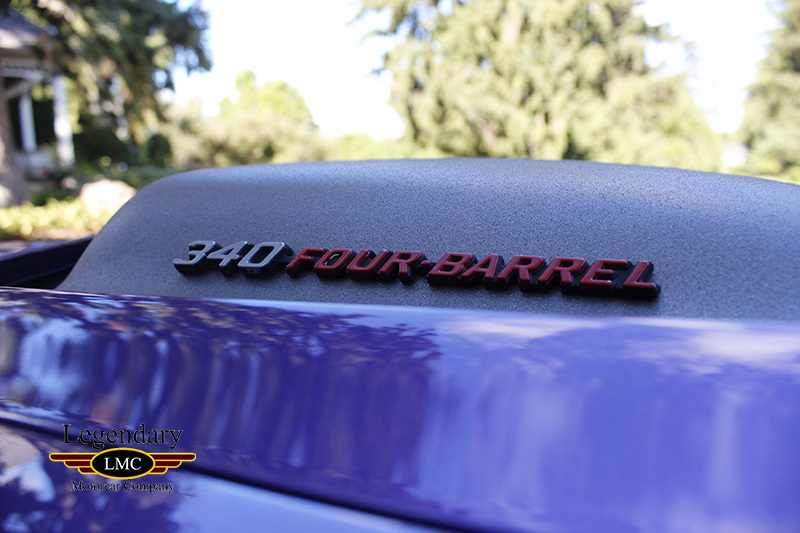 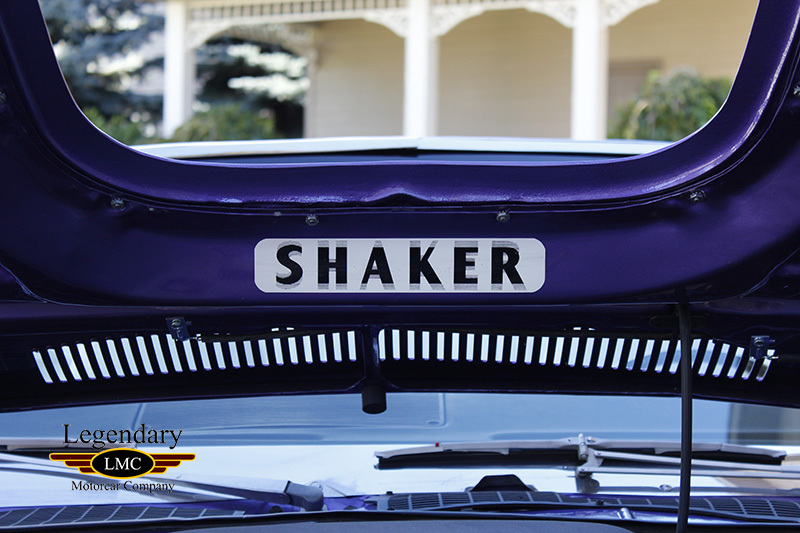 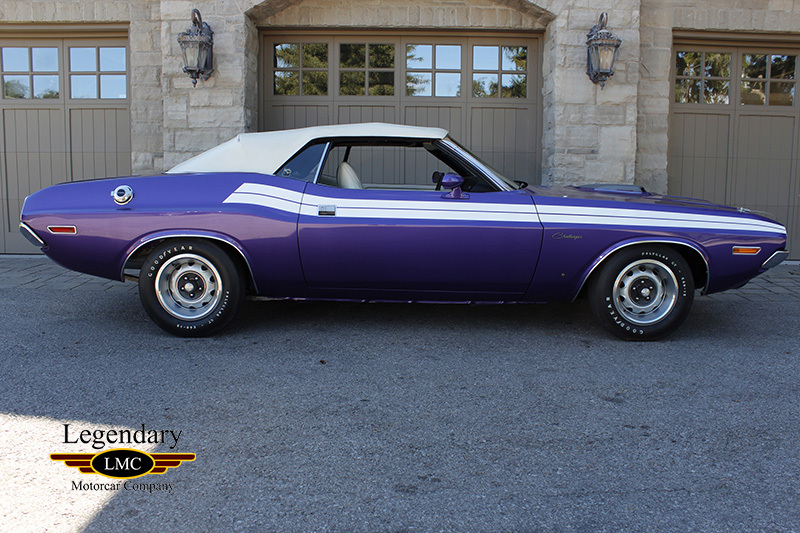 Click any thumbnail below to display the 1971 Dodge Challenger slide show. 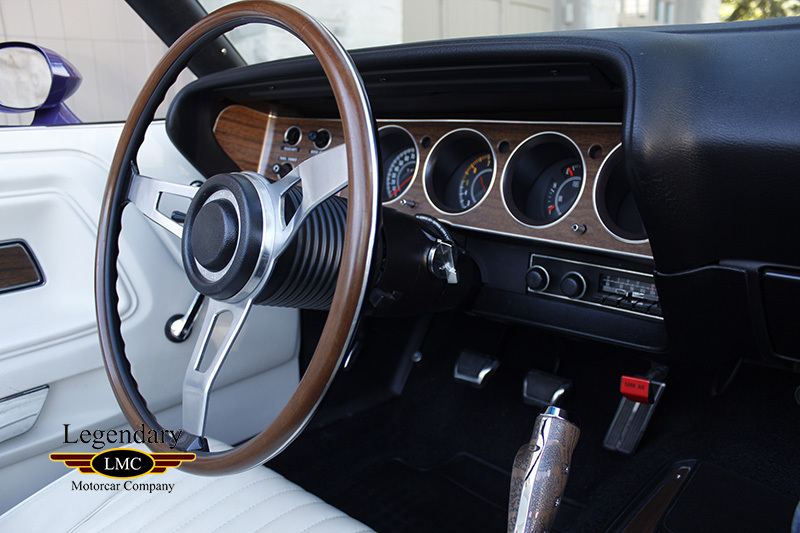 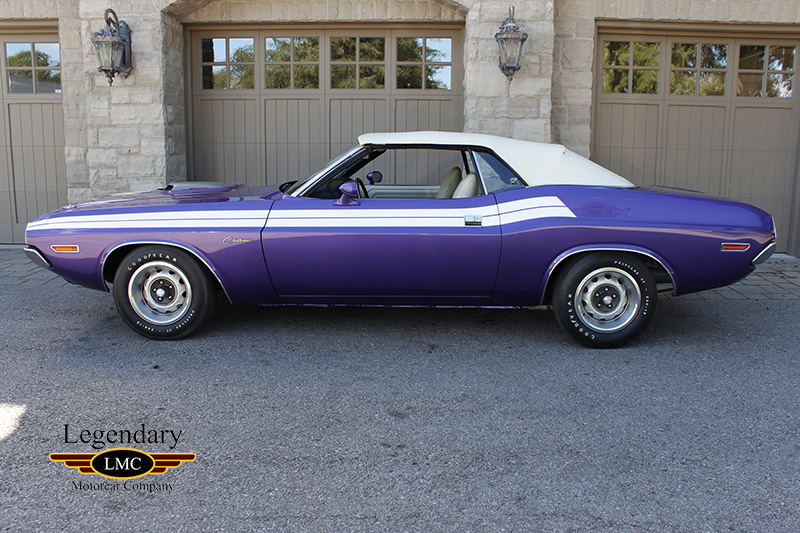 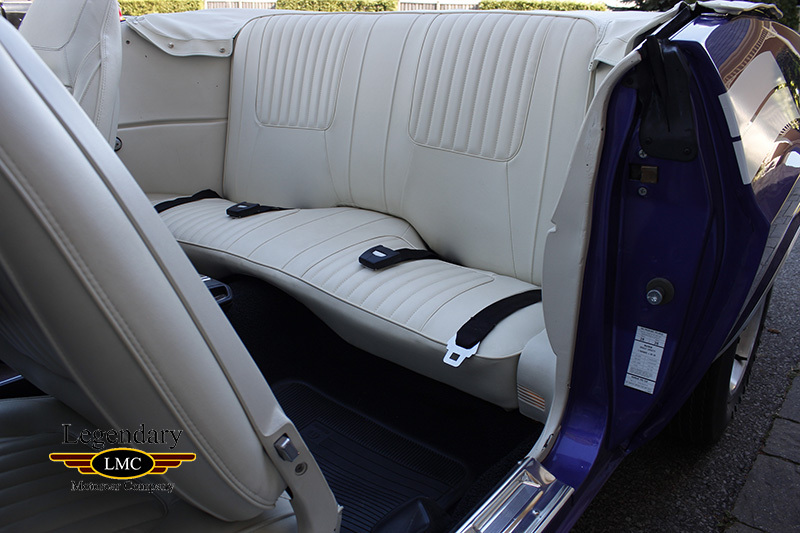 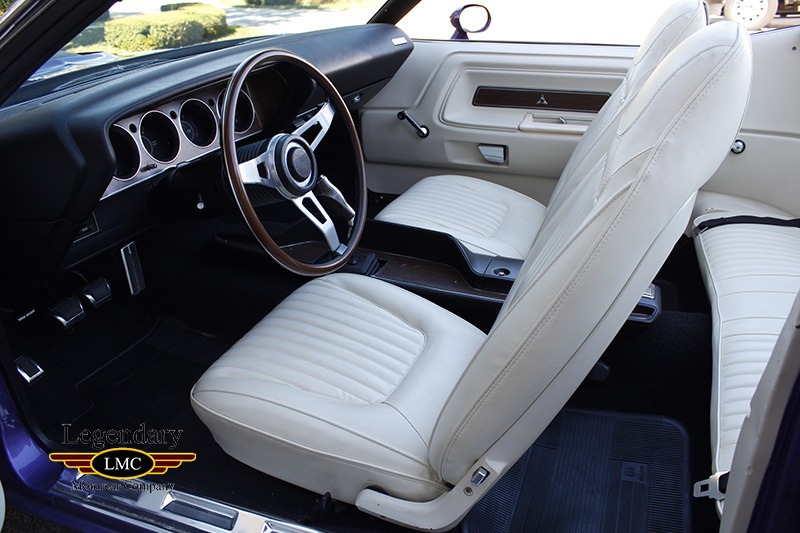 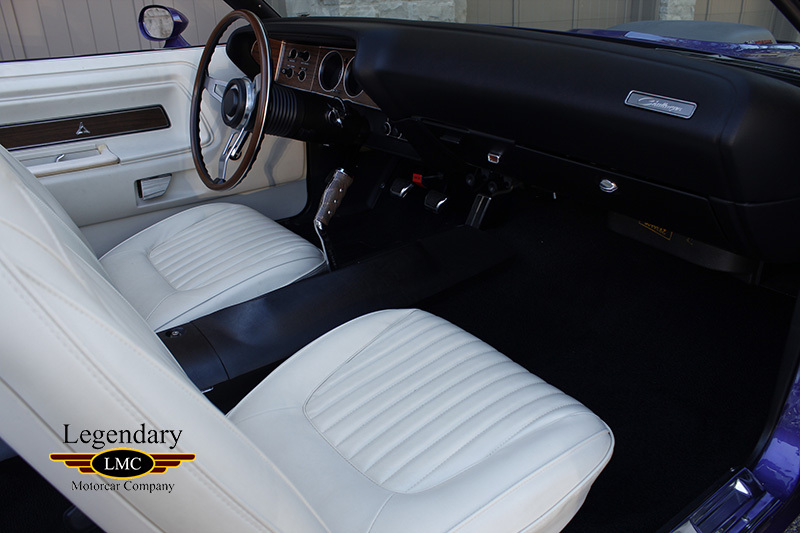 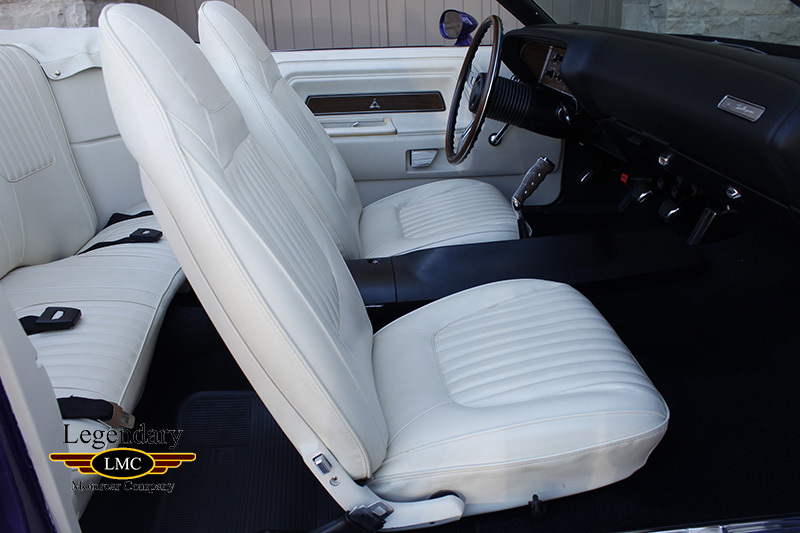 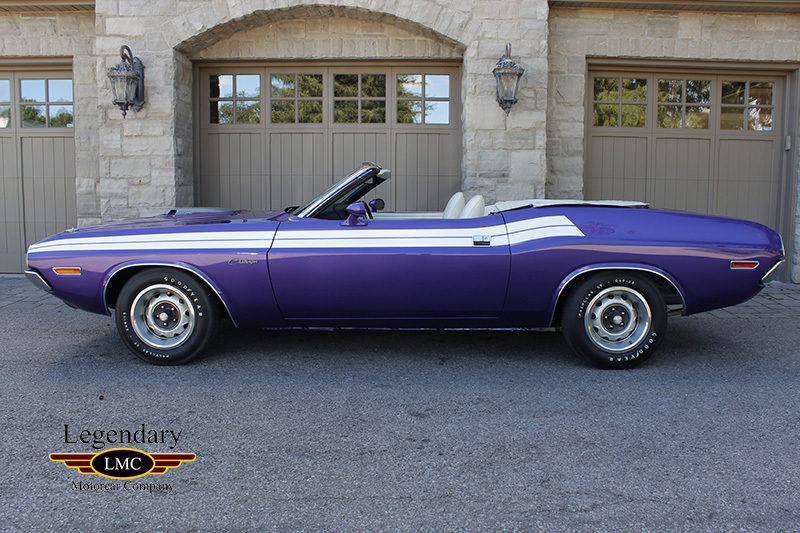 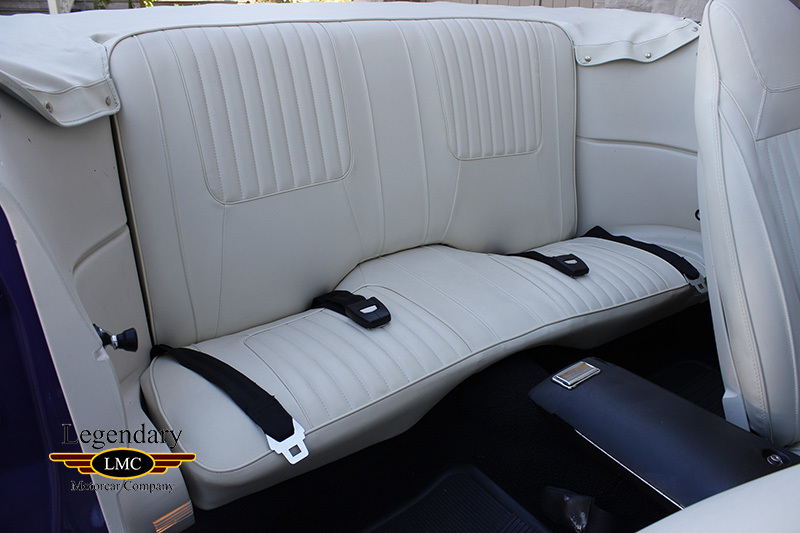 LMC is very proud to offer for sale this 1971 Dodge Challenger Convertible. 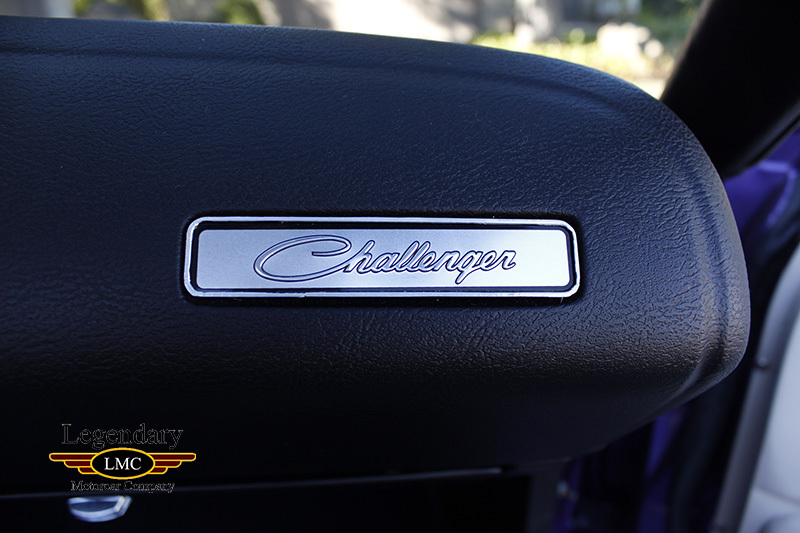 The incredible popularity of the Dodge Challenger is unmistakable. 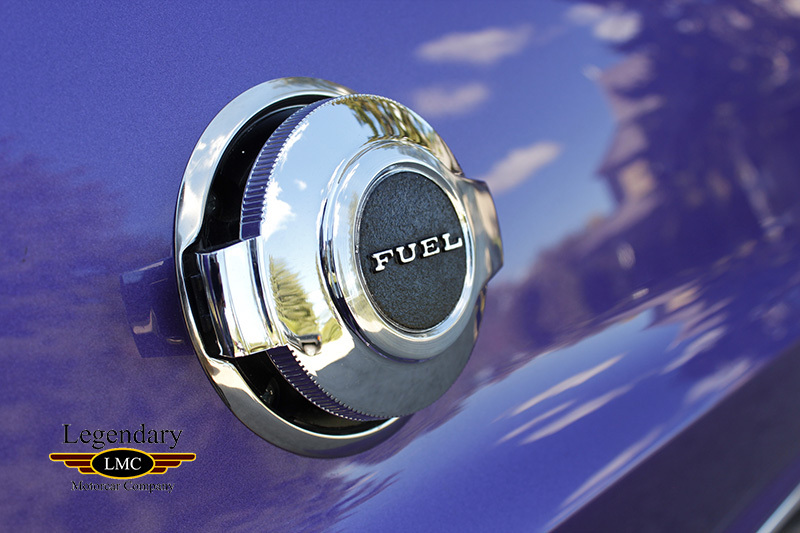 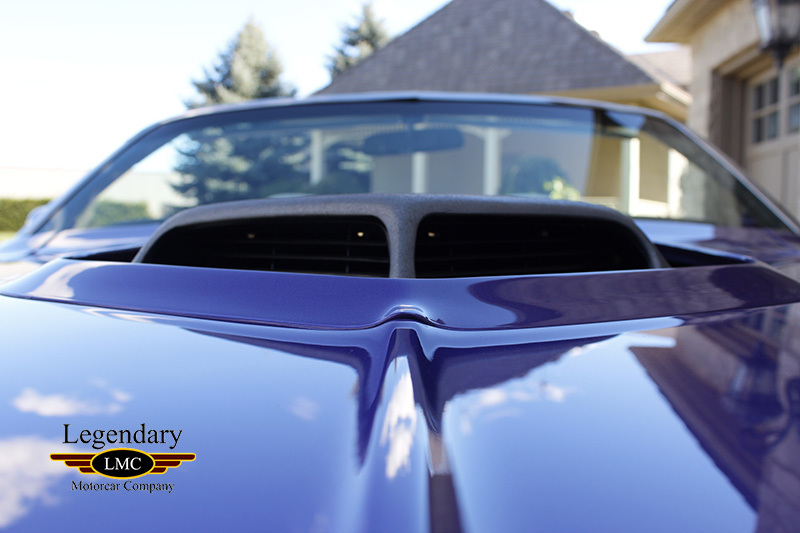 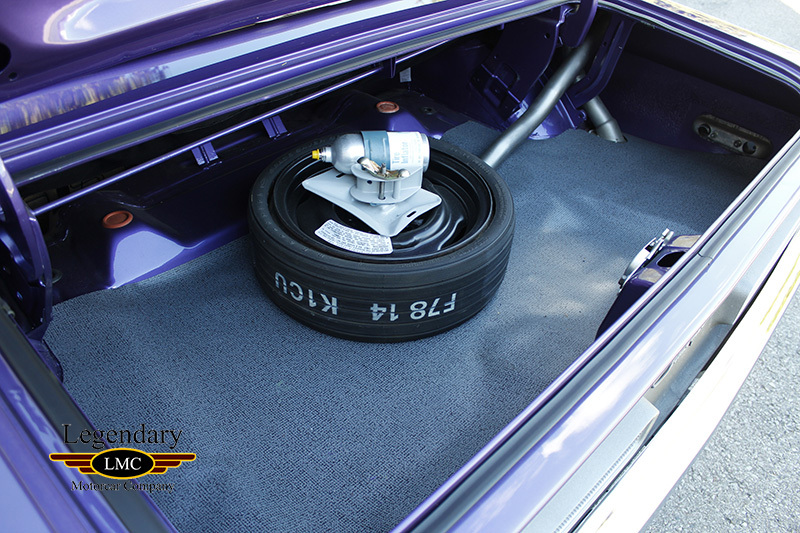 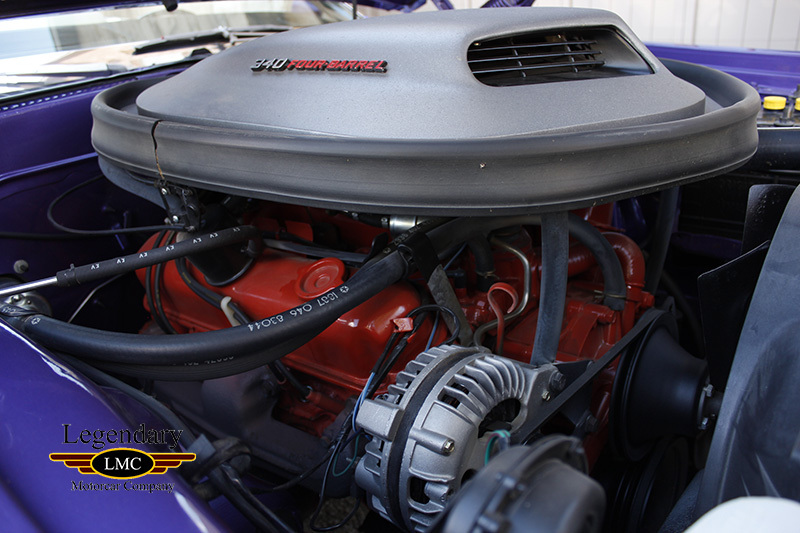 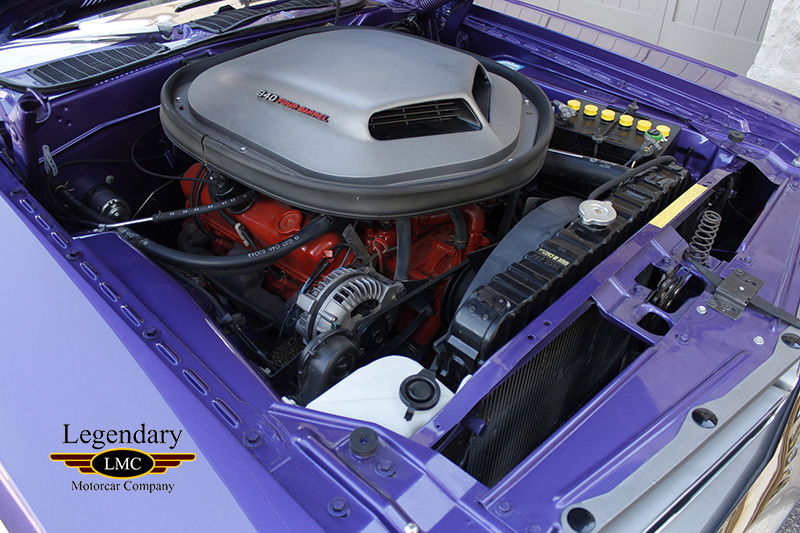 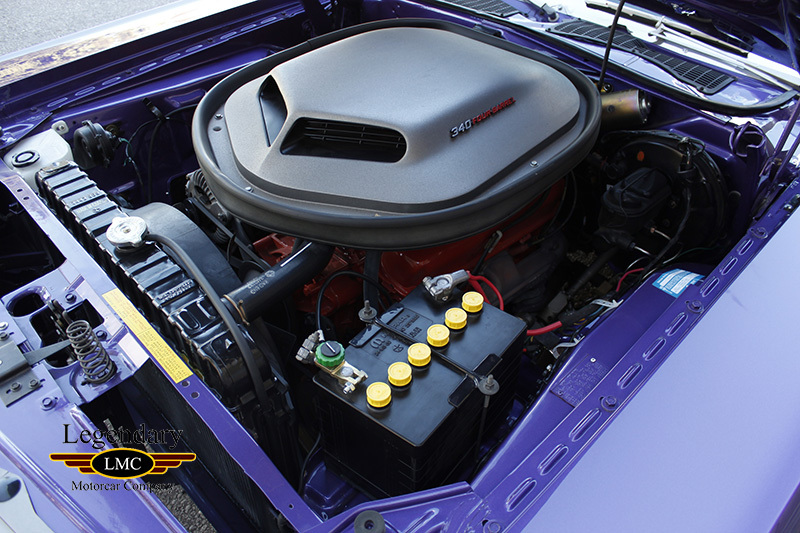 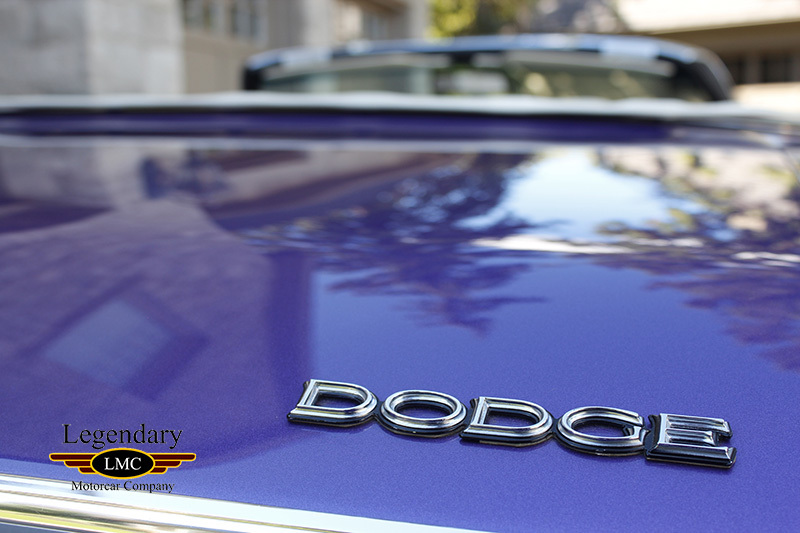 The Dodge E-body has often been regarded as one of the best looking designs to emerge from the muscle car era. 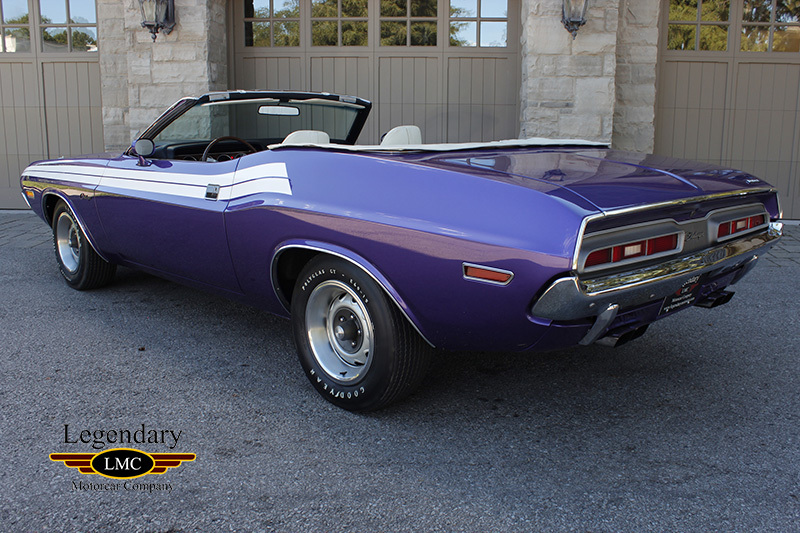 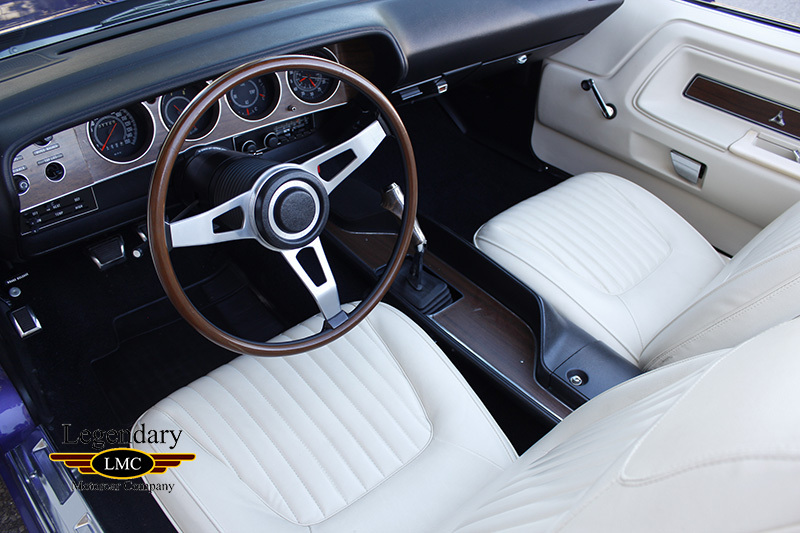 As is often the case, in 1970 when the car's were new, convertibles were seen as too heavy for their real purpose, but today they have become the most sought after due to their rarity and in the case of the Challenger, their fantastic looks. 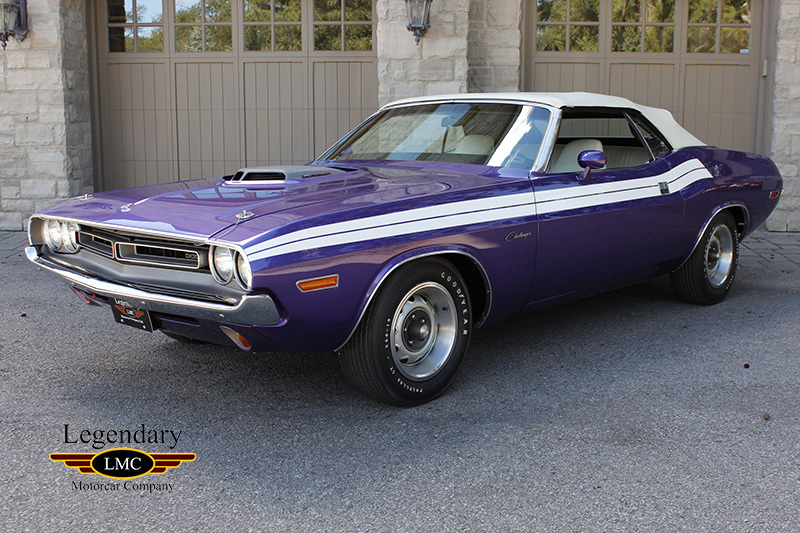 Especially when combined with one of Dodge's High Impact Colors. 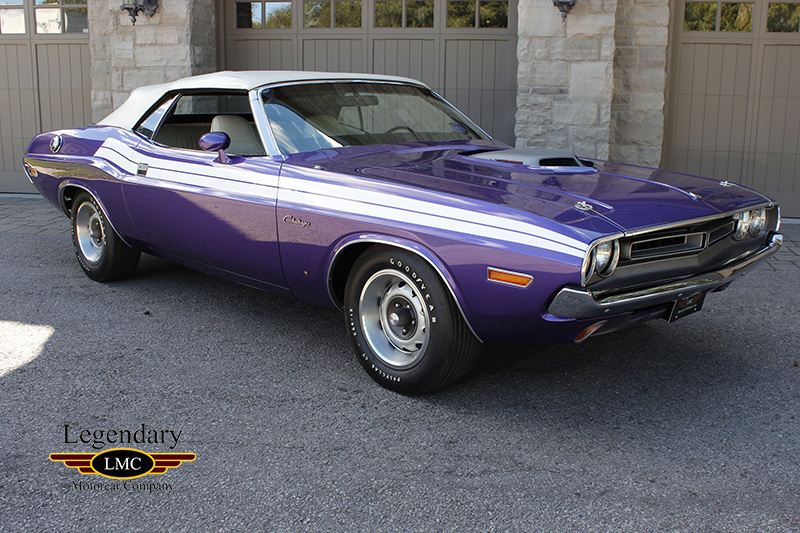 This 1971 Dodge Challenger was one of only a handful ever produced by Chrysler. 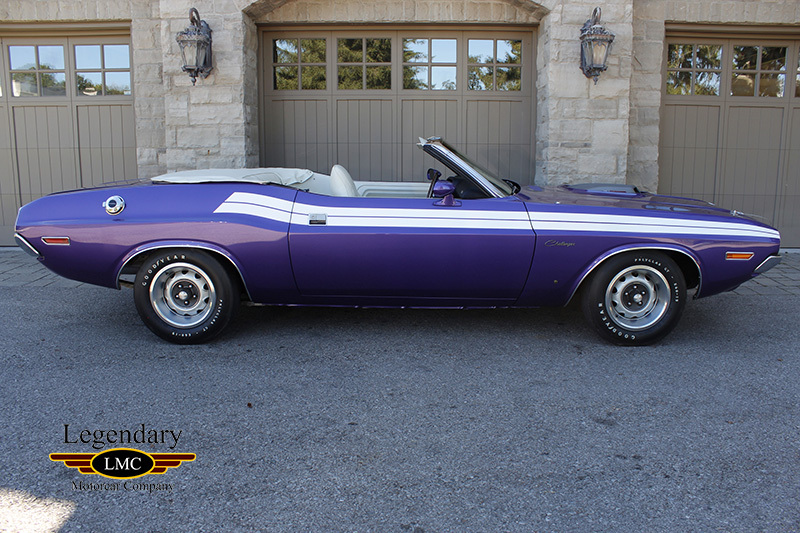 The extremely rare and very desirable 340 4-speed convertible rolled off the Hamtramck Michigan assembly line on December 9th, 1970. 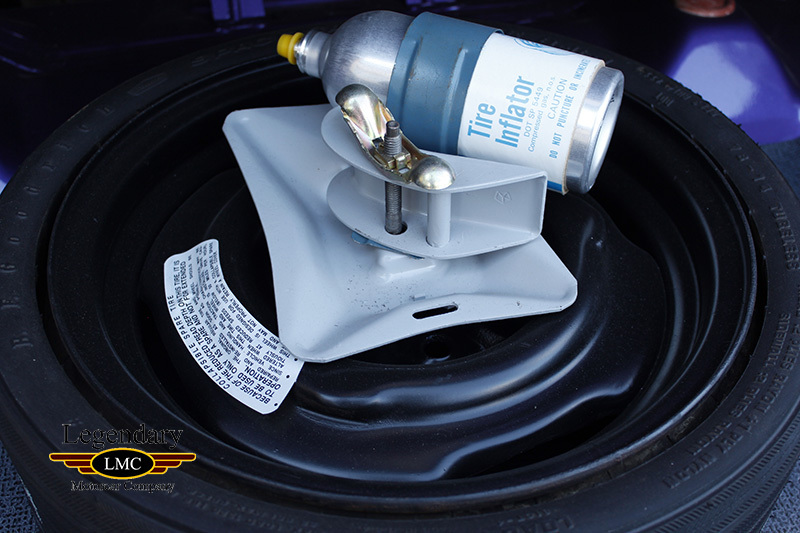 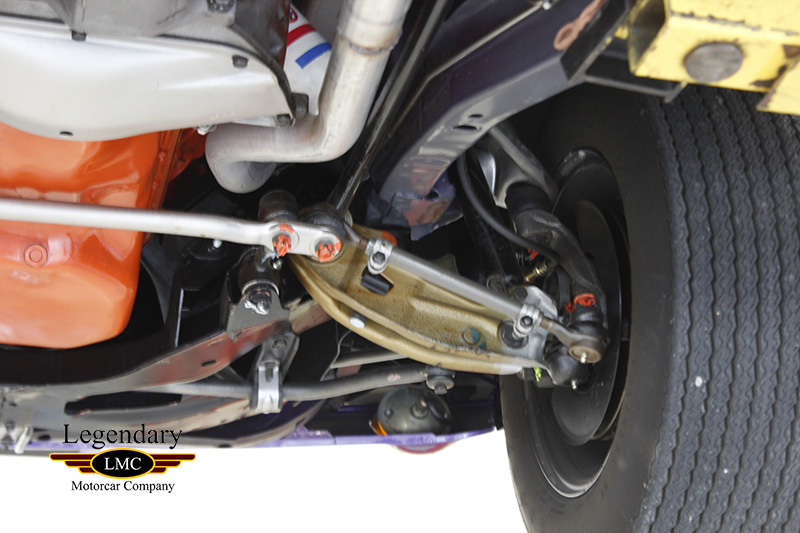 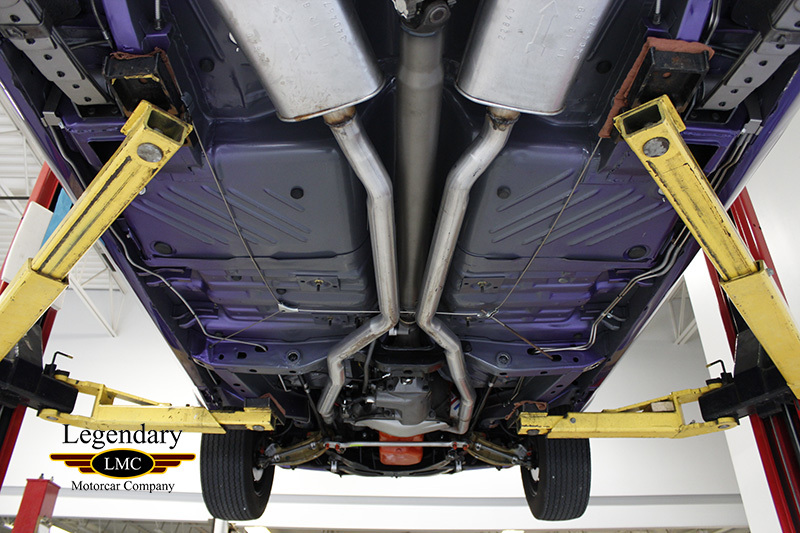 It has benefited from a meticulous nut and bolt rotisserie restoration. 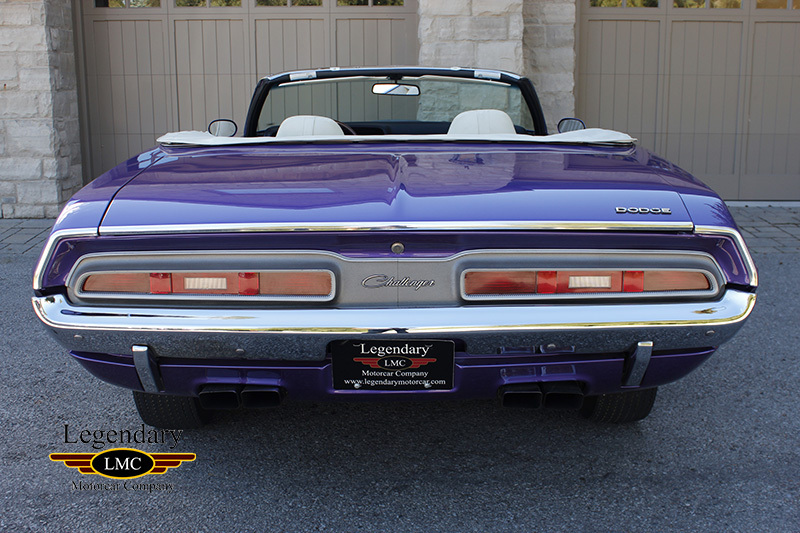 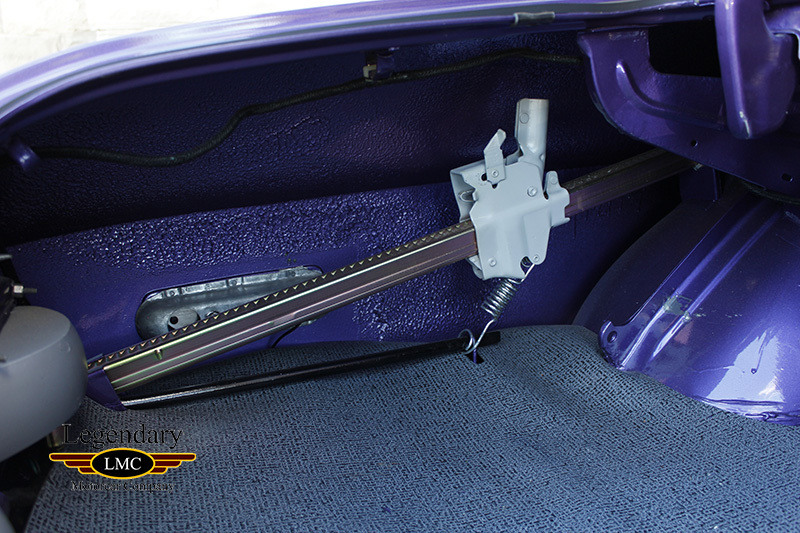 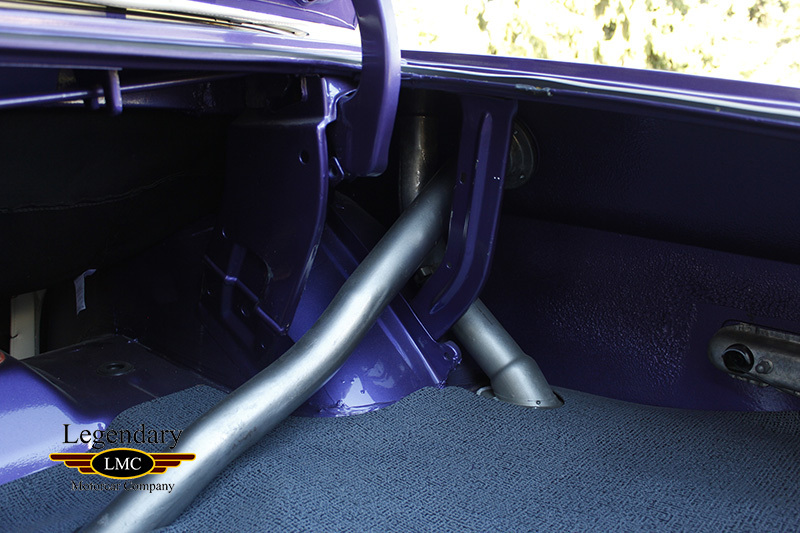 Finished in its factory color of FC7 Plum Crazy Purple, it is a striking car with its white high back bucket interior, white longitudinal stripe and matching white soft top. 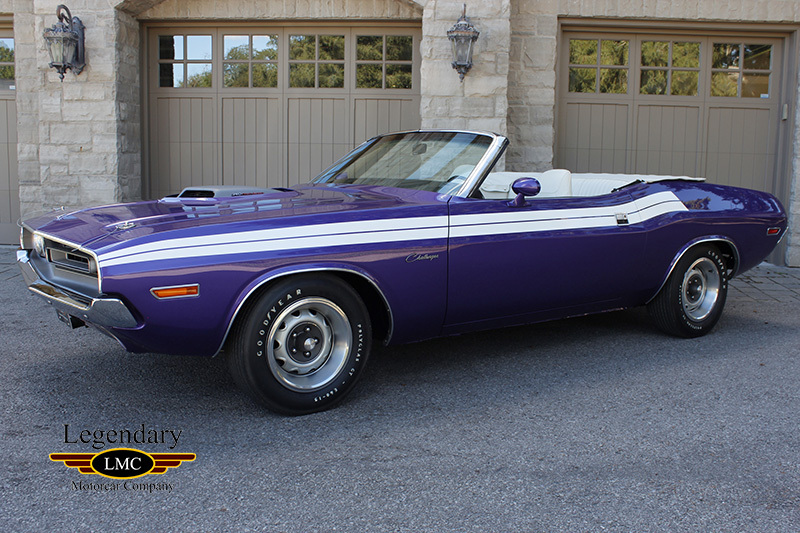 One of the most interesting parts of this car are the long list of options including power brakes, power steering, power convertible top, Rallye instrument cluster, console, dual racing mirrors, hood tie down pins, dual exhaust with chrome tips, tachometer and the very rare and sought after factory shaker hood scoop on the numbers matching 340 engine with numbers matching 4 speed transmission. 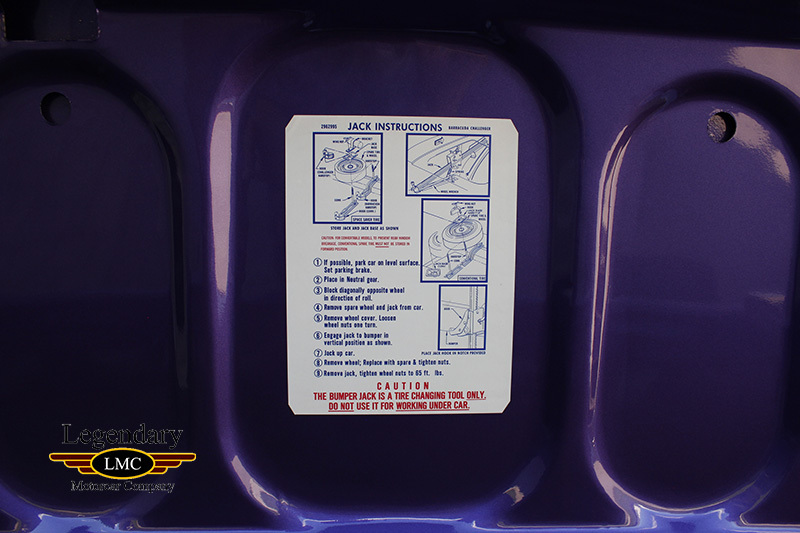 Of course to back up the originality of these options the car is fully documented with a factory broadcast sheet. 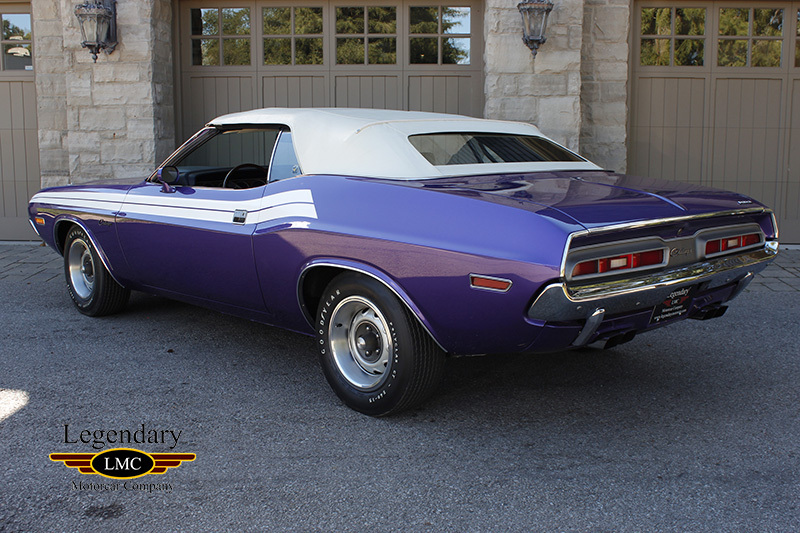 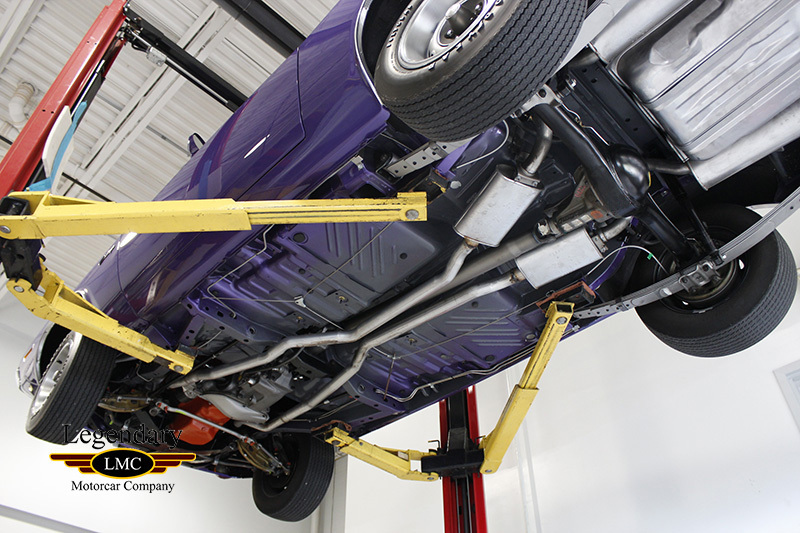 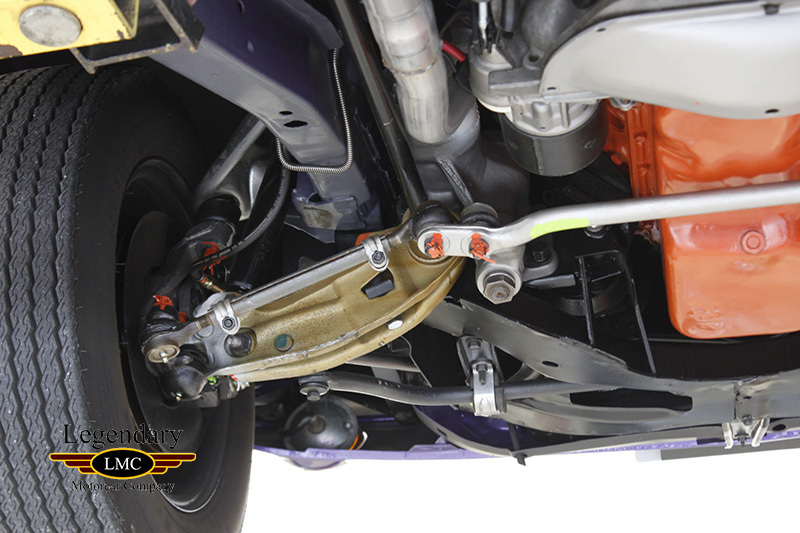 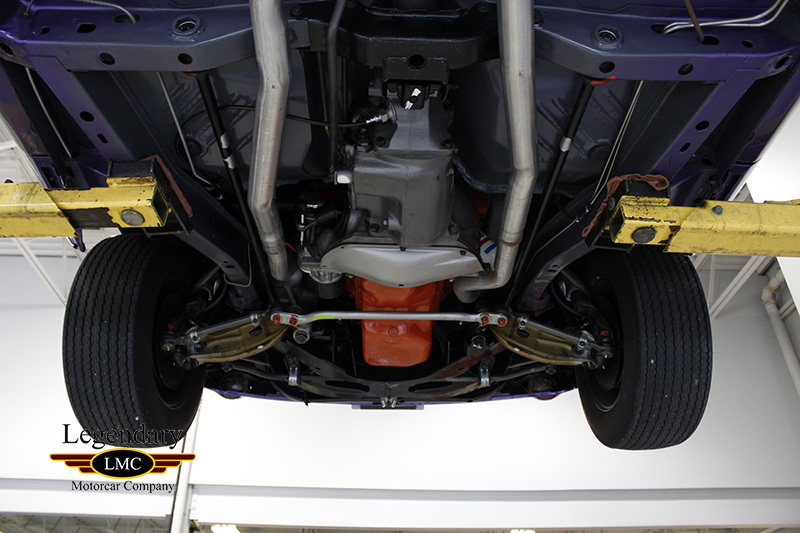 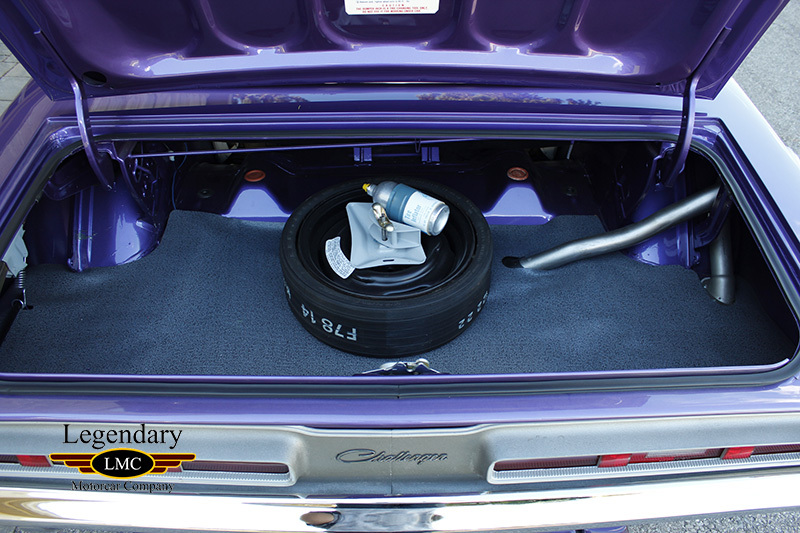 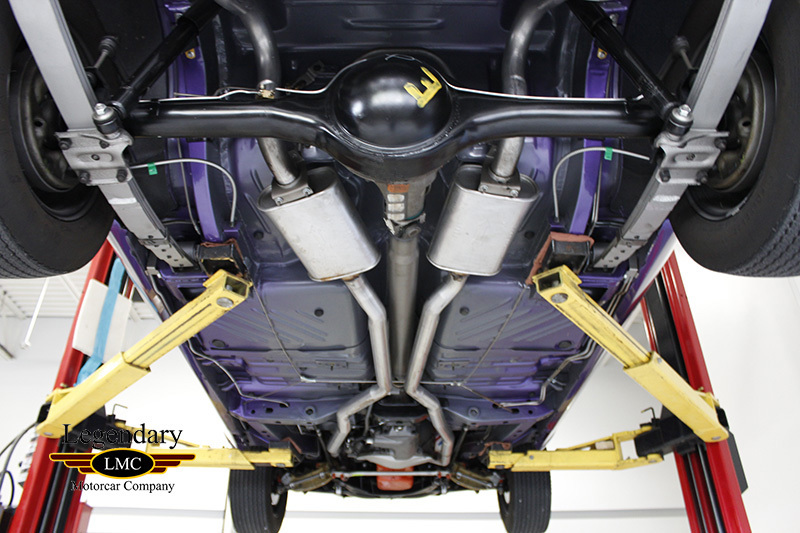 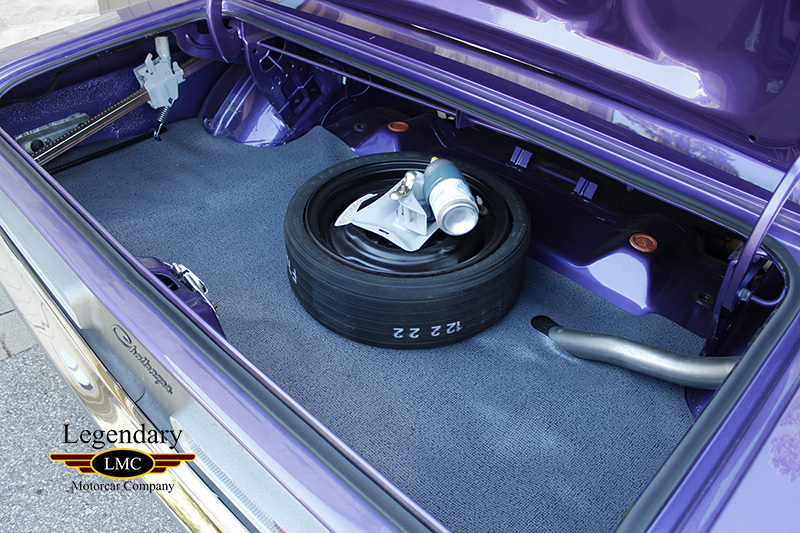 Further scrutinizing of this Challenger reveals a fully detailed undercarriage and correct VIN’s in place on the cowl and radiator support. 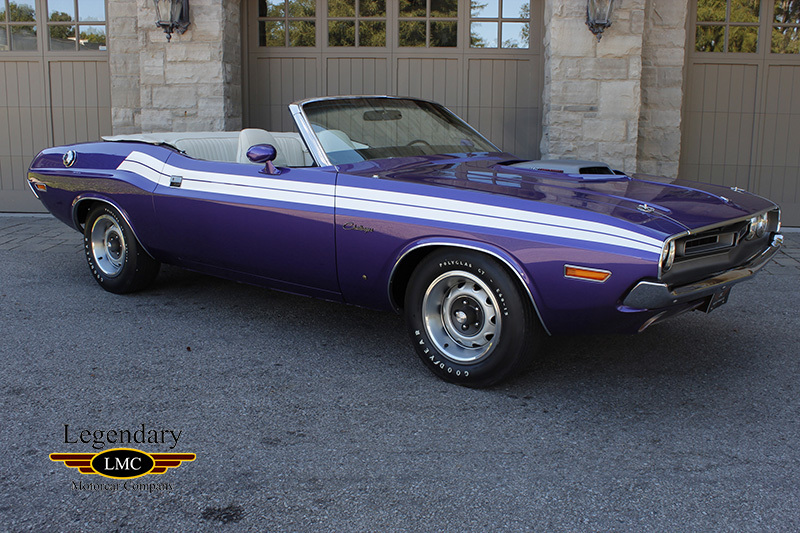 This truly is a stunning Challenger which has been meticulously restored and is beautiful piece if true muscle car history. 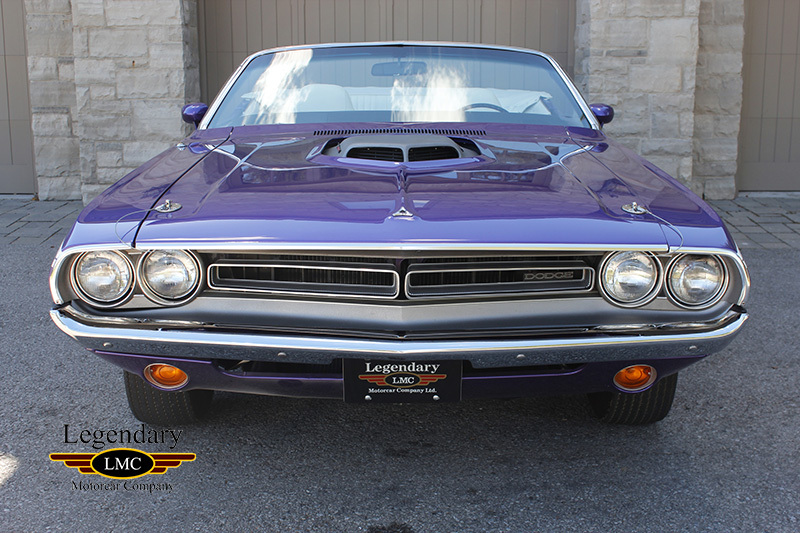 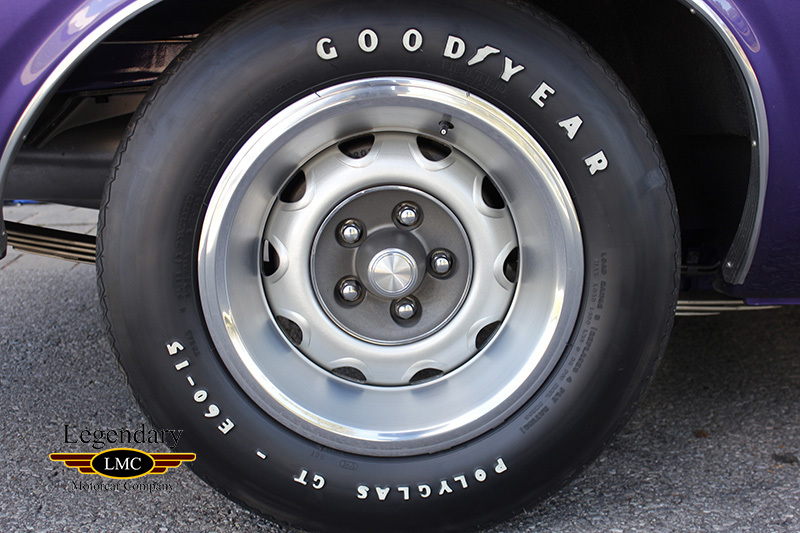 This is an ultra-rare and highly collectible Mopar for the discerning collector to enjoy for years to come and no doubt an attribute to anyone’s collection. 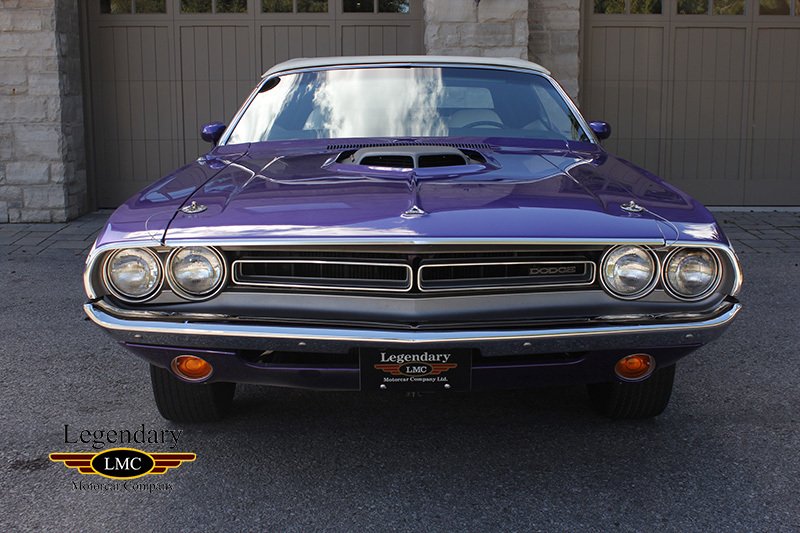 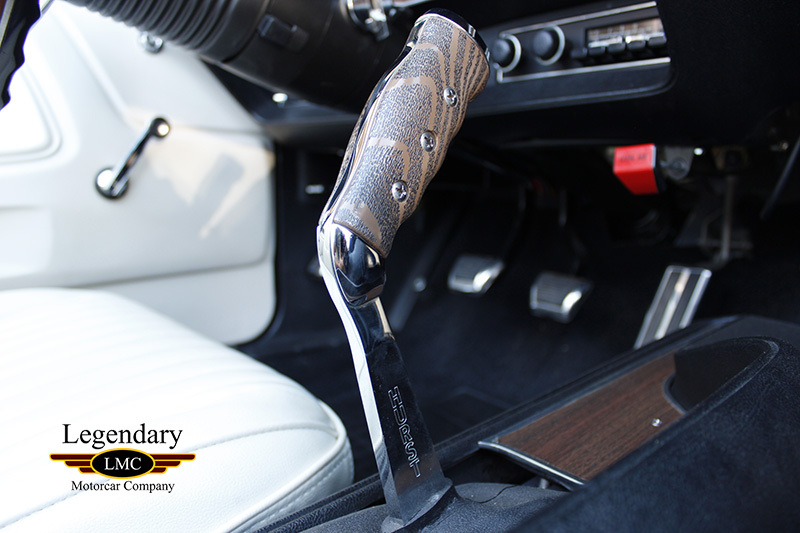 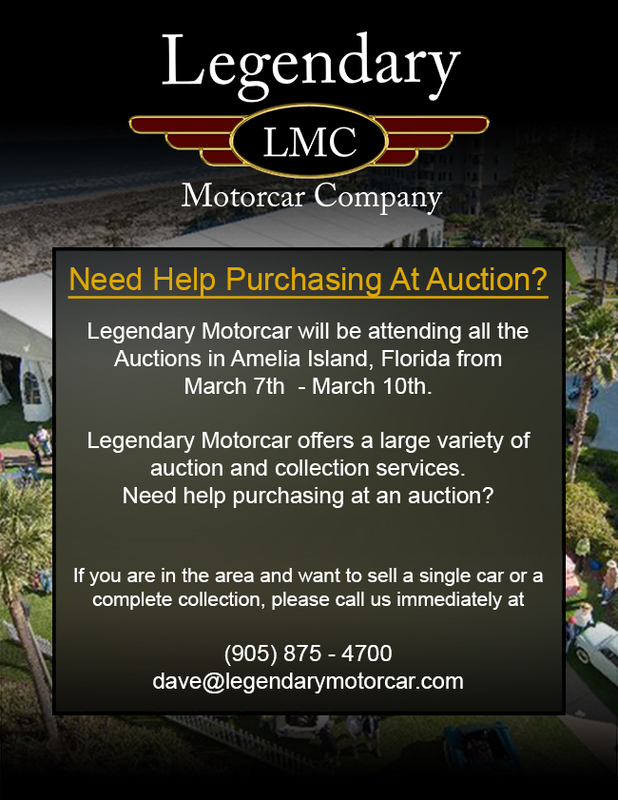 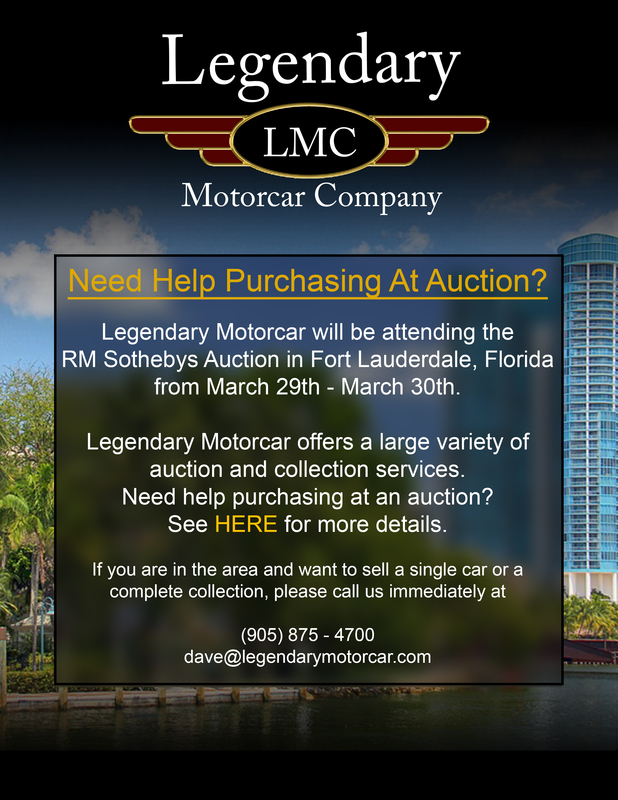 Legendary-Motorcar-Company-Ltd-2016-116 Dodge 1971 Dodge Challenger 2016-116 0 Legendary Motorcar Company Ltd.